Pentek P1 water filter cartridges produce healthier, better-tasting drinking water. Pentek P1 replacement filter cartridges are designed for purity and chemical compatibility. 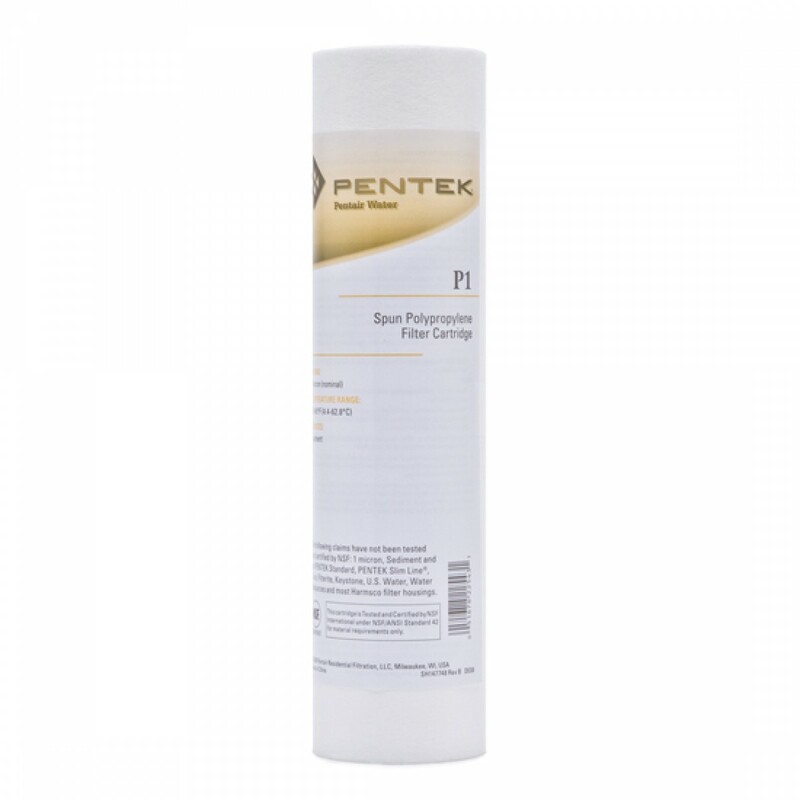 The Pentek P1 spun fibers form a true gradient density from outer to inner surfaces. The Pentek P1 replacement water filter will not impart taste, odor or color to the liquid being filtered when used within the recommended temperature limit. The Pentek P1 water filters can be used on chlorinated or non-chlorinated water supplies. The coreless strength of the Ametek P1 water filter cartridge is achieved by sintering the many fibers into a solid matrix. The Pentek P1 is Tested and Certified by NSF International to NSF/ANSI Standard 42 for material requirements only. NOTE: Do not use with water that is microbiologically unsafe or of unknown quality without adequate disinfection before or after the system. The Pentek P1 water filter is the same as the Everpure DEV910907 filter. 1 micron Pentek P1 spun bonded polypropylene water filter cartridges. 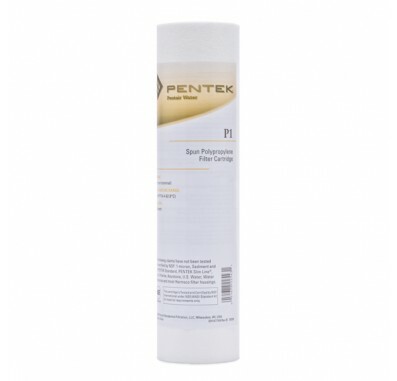 Pentek P1 water filters are manufactured from 100% pure polypropylene. The Pentek P1 filter cartridge polypropylene construction provides superior chemical resistance and is not prone to bacterial attack. 155225 Pentek P-1 filter fits in housings for 10 inch water filters.